Millie was a homeless street dog from Tijuana, Mexico when our volunteers rescued her from starvation and a daily struggle for survival. Like Millie, so many street dogs and cats in Mexico are gentle, sweet and fun creatures who just need a kind soul to help them. Millie’s mom says --- "Millie has been the absolute best dog, with endless energy, so funny and fun. We enjoy each and every day we spend with her." 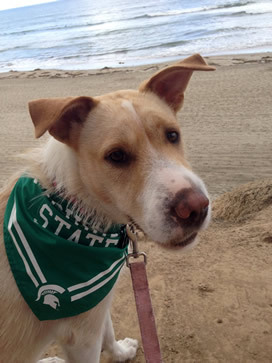 Each year, our volunteers rescue, rehabilitate and find homes for thousands of street dogs and cats just like Millie. With your support we can help many more Millies. Thank you. Mona struggled to care for her puppies in a Mexican cemetery. Their den was a hole under a bush. 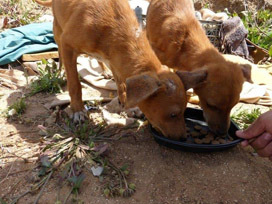 Their food was the scraps she found in the dump, the streets or trash. We rescued Mona and her puppies and were inspired that despite all her challenges and neglect, she had a sweet, friendly personality. With regular feeding, bathing, vaccinations and shelter, Mona blossomed and we found loving, forever homes for Mona and her pups. Check out the Gallery to see Mona and her pups' remarkable story in pictures and their happy adoption. Ron had been hit by a car in Ensenada and thrown in a trash dump to die. Our dedicated community volunteers rescued Little Ronny and prepared him for adoption with lots of love and caring. 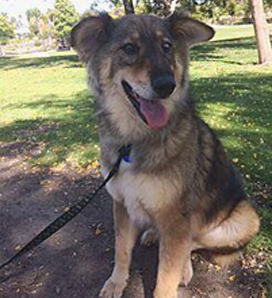 Fortunately for Little Ronny a family was looking for a special needs dog to rescue and Ronny was ready for his new journey despite his disabilities and traumatic life history. 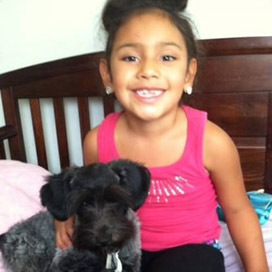 Watch the video of Little Ronny's Story – Trash Dog to Treasured Pet. Get ready to be uplifted by the love and caring of our volunteers and Ronny's sweet and happy spirit. Click Gallery to see Little Ronny now!!!! He loves his family and doggy friend  and of course lots of pool time. Most of the cats and kittens we rescue are living alone in the shadows, sick and without hope. We give homeless cats shelter, food, a warm bed and tender, compassionate care. Our spay-neuter clinics have made a big difference in curbing cat overpopulation and homelessness in many of the poorest communities we serve. 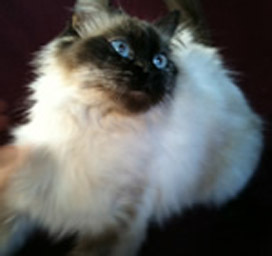 See our cat care photos in the Gallery. Thank you for helping our kitty friends. We call these pups the Twins. They are brother and sister who were living alone in a trash heap, but they stayed together. These gentle, sweet souls never gave up. We found them starving and injured. After feeding, shelter and care by our Volunteers they are now safe in a foster home waiting to be adopted. View the Gallery to be amazed at the before-after photos. If you're looking for your next best friend and beloved family member, take a look at our adoptable dogs and cats. Freeway was found on the toll road from Tijuana to Ensenada. He was so matted, he could not see where he was walking and could have been hit by a car, where he would have died a horrible death. 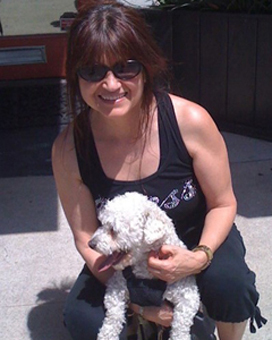 We rescued Freeway and after a haircut, we found a wonderful dog under all that matted fur. Want to see what he looks like now? View the Gallery for amazing photos! 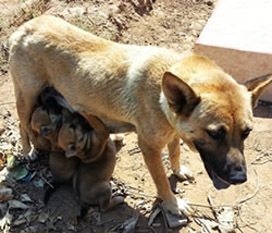 Grace and her six pups were minutes away from being euthanized by electrocution in a Mexican-run dog pound. Fortunately for Grace and her puppies, her last day fell on a holiday, so we worked through the night to make arrangements with the Mexicali dog pound to release them to us. We found a foster home to care for them while we found good homes for this family. Their journey from homeless street dogs to beloved family pets will amaze you. 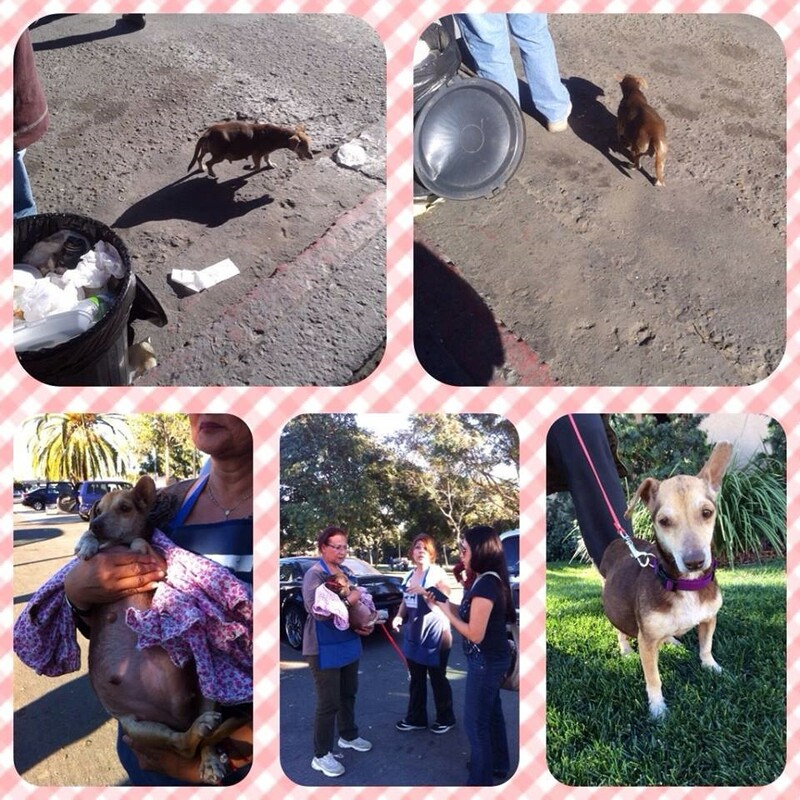 Want to be a part of more remarkable transformations for homeless dogs and cats? Become a Foster Volunteer. 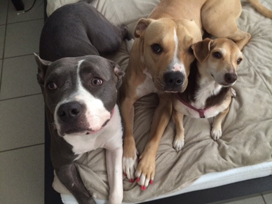 View the Gallery to see the beautiful pictures of Grace and her puppies safe in a foster home. 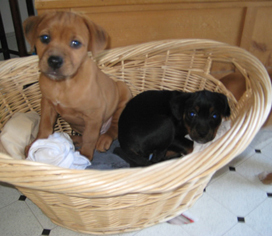 Adalia (right) was found roaming the streets of Tijuana. She was very pregnant and very hungry. We sheltered, fed and prepared her for adoption. 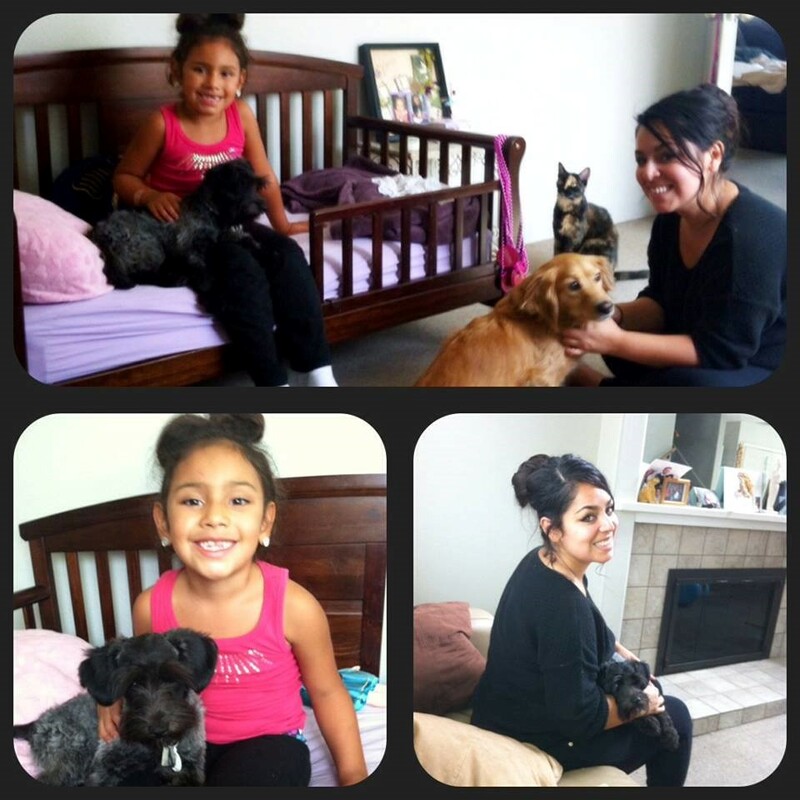 View the Gallery for Adalia's before and after photos and her new family who loves her to pieces! Pepper was a very sick pup when rescued by our sister-organization, 4Patas in Mexico. Pepper was a hard adoption because he had a mild tic which made his head bob up and down. But our dedicated foster home loved Pepper so much and patiently taught him basic commands and found a special little family that loved him unconditionally. He is super loving and great little dog! His family are very happy with the adoption. View Gallery to see happy Pepper with his new family. 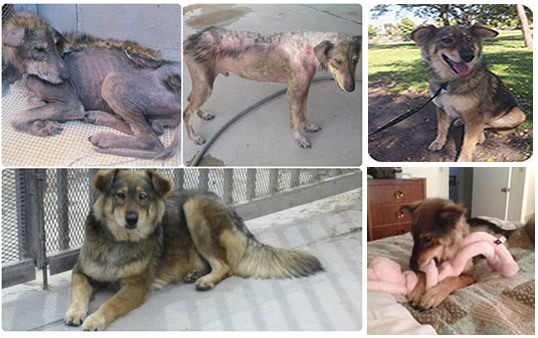 Chauncey was a typical street dog struggling with treatable mange. No one wanted to get close or help him. Like so many street dogs, they end up alone, starving and sick. We rescue as many street dogs as we can because we know that proper care can turn a homeless street dog into a beloved, family pet. Chauncey is a great example of this transformation. Thank you for helping us make this possible. View the Gallery to see Chauncy's happy transformation. You'll love it!